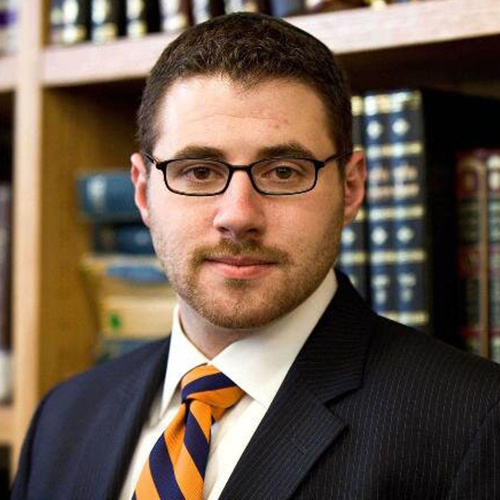 Born and raised in Champaign, IL, Aaron attended the University of Illinois where he graduated with a degree in Judaic Studies and a minor in Animal Sciences. Aaron attended Yeshivat Bat Ayin in Israel for two years prior to attending YCT. While studying at YCT Aaron served as the Director of The Jewish Youth Encounter Program at the Hebrew Institute of Riverdale. Aaron also served as the rabbinic intern for Anshe Sholom B’nai Israel Congregation in Chicago and has been a guest lecturer at the Ramaz School in Manhattan. He is trained and certified in shechitah. Aaron has been the Rabbi of Northbrook Community Synagogue since its inception following the merger of three storied north side of Chicago Synagogues. Rabbi Braun serves on the Northbrook mikvah committee and is a volunteer Jewish Chaplain at Glenbrook Hospital. He is also a member of the International Rabbinic Fellowship and the Chicago Board of Rabbis.